eaw032635 ENGLAND (1950). Vic Hallam Ltd Works, Langley Mill, 1950. This image was marked by Aerofilms Ltd for photo editing. 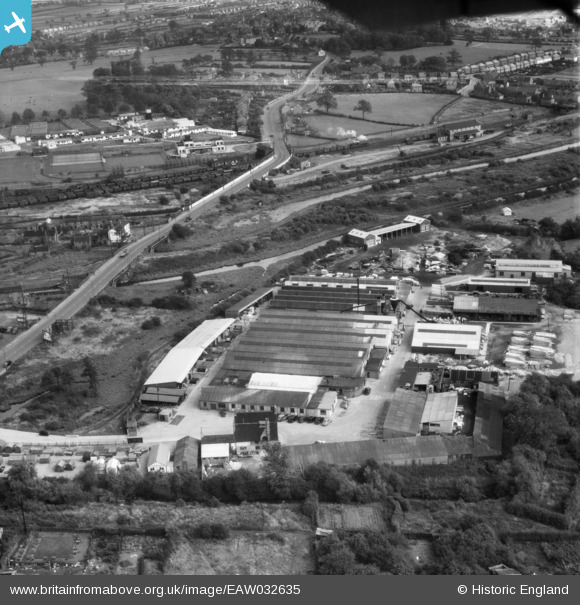 Title [EAW032635] Vic Hallam Ltd Works, Langley Mill, 1950. This image was marked by Aerofilms Ltd for photo editing. Ex.Great Northern railway 2-8-0 heavy goods loco Class O2.